In this two parts post I will explain how to create an android plugin to access native APIs of android or to call 3rd party libraries like ads integration. 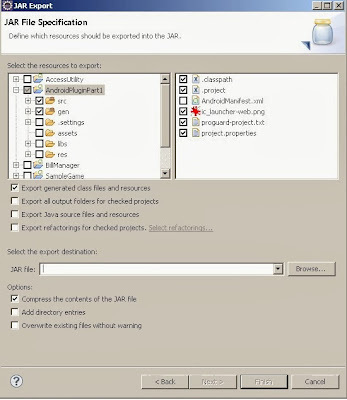 Basic information on how to create android plug-in can be found here. 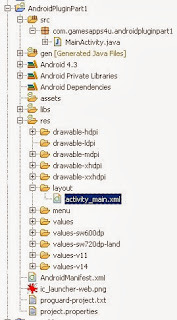 This articles assumes that android development environment is setup beforehand. In 1st part I will show you how to call java methods from C# in Unity3d. Update: This step has been updated to use Android Studio. Check this post. Now we will create .jar with these two classes. Now select items as shown in the diagram below. For this example we do not need Res / Lib/ Asset folders as they will just increase the size of the jar file. Give the location to save the file and click Finish. In order to let Unity3d know that we have plug-in to use, we need to put our .jar in a particular folder. and copy .jar file in Android folder. Now we are ready to test this. Attach this script to MainCamera and save the scene. Now connect Android Mobile and hit Build And Run. You will see two buttons and clicking on them will give you desired output. You can download the sample project from here for reference. 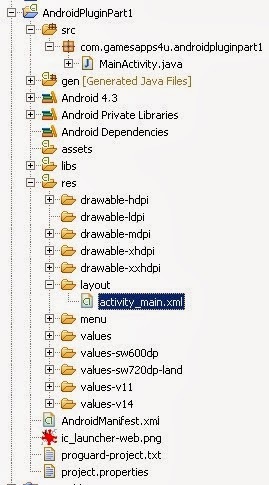 In the next post, I will explain how to extend UnityPlayerActivity in android Plugin. It's a simple and very useful tutorial. 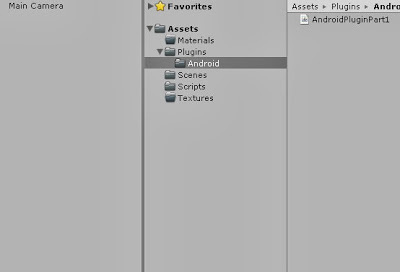 Hi, do you now how to create these type of plugin with Unity in the iOS platform? 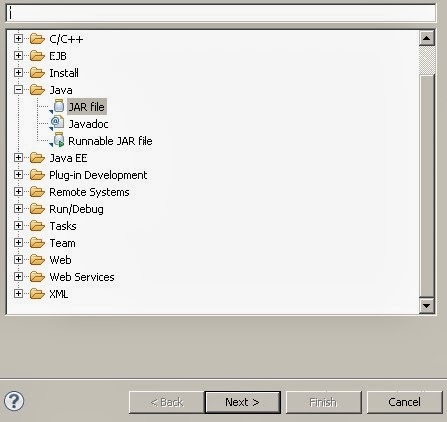 We don't need manifest file?? ?